M12 BPD Sub Compact Percussion Drill. 12 Volt M12 BPD Cordless Percussion Drill is a high performance sub compact percussion drill measures 190mm in length making it ideal for working within confined spaces. Has REDLINK™ overload protection electronics in tool and battery pack to deliver best in class system durability. M12 BID Sub Compact Impact Driver. 12 Volt M12 BID Compact Impact Driver is a high performance sub compact impact driver, that measures 165mm in length making it ideal for working within confined spaces. Has a heavy-duty full metal gearbox and gears for superior durability and maximum torque. 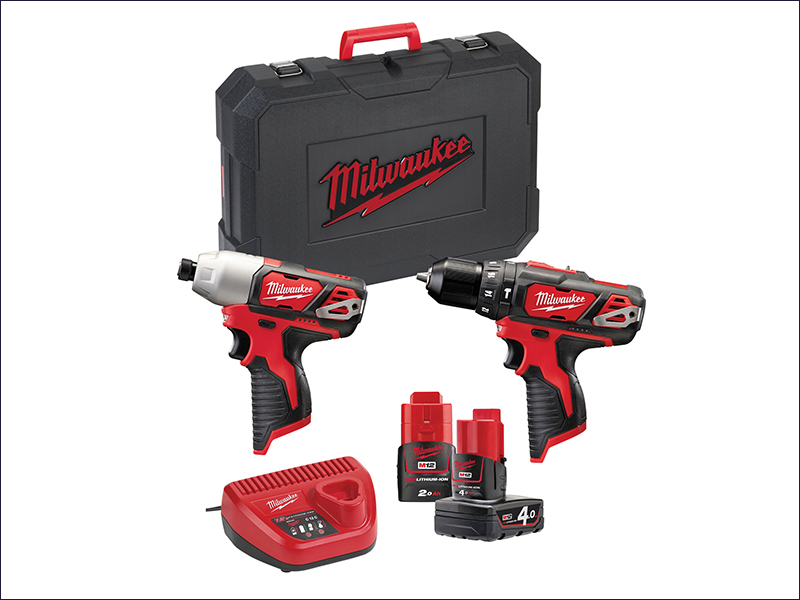 The tools are supplied in a kitbox with 1 x 4.0Ah, 1 x 2.0Ah REDLITHIUM-ION™ Batteries and a C12 Charger.